The thyroid gland is a tiny gland that is found at the base of the Adam’s Apple below the skin and the muscles of the neck. Though being very small, it plays a vital role in the body by influencing the various functions of the body. The various functions of the body like the functions of the liver, heart, brain, skin and the excretory system are regulated by the thyroid gland. So the healthy functioning and the proper functioning of the thyroid gland is a must for the smooth running of the body. The thyroid hormones are produced by the thyroid glands of the body. The thyroid hormones get transported to the various parts of the body where they are used for the proper functioning of the body. They check how the body uses the food is used up as energy. The thyroid hormones stimulate the metabolism rate of the body. This indirectly affects the rate of work of the heart, liver, muscles and the other parts of the body. It has been said that the overproduction or the underproduction of the thyroid hormone leads to improper functioning of the body. For instance, the body cannot function well if the different organs of the body work too fast or low. The overproduction of the thyroid hormones will make the body to be jumpy and nervous always. The inadequate production of the thyroid hormone will make the person to be tired and weak always. It is important to first consider first about the working of the thyroid glands before delving into the topics of the reasons for the person to be affected by the thyroid. The thyroid gland is regulated by the pituitary gland of the body. The pituitary gland is a pea shaped gland that is found below the brain. It always a check on the level of the thyroid gland in the body. Depending upon the level of the thyroid it signals the thyroid to secrete or stop the production of the thyroid hormone. This is done by the thyroid based on the presence of the iodine. It is found in large numbers in the aquatic foods and milk products. The iodine is added to the salt because they are very hard to get from the food items. The thyroid gland can be affected by any problem. There are many treatments to fix the thyroid problem. It has been said that even the babies can be affected by the thyroid. At times, the thyroid gland does not make the sufficient amount of the thyroid hormone. The body, as a result, begins to work very slowly. Then in some cases the thyroid gland does make more amount of the thyroid hormone and this can be easily compared to the car and the engine. This makes the body to become idle and will lead to death. The body is thought to be that of a cat that paces the rate of its performance in the body. The thyroid gland can be thought of as the engine that produces enough energy to move the car or the body to a certain distance. The thyroid glands instill the cells of the body to perform some functions that make them function at a certain rate. A car cannot produce the energy without the gas or the fuel and in the same way the thyroid glands cannot produce the thyroid hormone without the presence of the iodine. The iodine is obtained from the body from the food items and they are used by the bloodstream. The thyroid gland is fueled by the iodine. So a clear perspective has to be obtained before the person can make a clear working idea of the iodine. There are two types of the iodine in the body. They are Thyroxine and the Triiodothyronine. The Thyroxine is said to be containing the four iodine atoms. So it is called as T4. The Triiodothyronine is said to be T3 because it has only three iodine atoms. The T3 is prepared from the T4 when a single atom is removed from it. This conversion mostly occurs outside the organs and the muscles. It is in these places the T3 is used the most. These places include the brain, kidney and the liver. After the production of the T4, they are stored in one of the many microscopic follicles that are present in the thyroid. The T3 is also stored and produced in the thyroid. They are secreted into the bloodstream if the body lacks the thyroid and is in need of them. This meets the metabolic requirements of the body. This hormone easily gets inside the cells of the needing tissues and gets attached to the receptors in the nuclei of the cells. The thyroid gland also needs instructions on the amount of secretion and the other factors. This is looked after by the pituitary gland of the body. The pituitary gland is the master gland of the body as it controls all the process of the hormones in the body. The glands that make up the endocrine gland of the body is also controlled by the pituitary gland of the body. The pituitary gland transfers some messages to the thyroid gland on the amount of the much needed amount of the thyroid gland and is also sent in the forms of the thyroid-stimulating hormone. The thyroid stimulating hormone in the people’s bloodstream increase or decrease relying on if the thyroid hormone is made to encounter the people’s needs. More higher levels of thyroid stimulating hormones instructs the thyroid to release many thyroid hormones. And also low thyroid stimulating glands level will instruct the thyroid to reduce the speed of the production. The pituitary glands will receive its piece of information in many different ways. It has the capability to go through and answer to the quantity of T4 passing in the blood, and it will also answer to the hypothalamus which is a part of the brain that has the capability of releasing its own hormone by itself which is known as – releasing hormone which is also known as (TRH). Thyrotropin – releasing hormone (TRH) induces the Thyroid Stimulating Hormone (TSH) production in the pituitary gland. The communication which forms the network which is in between the pituitary gland , hypothalamus , and the thyroid gland are called as Hypothalamic pituitary gland axis which is also called as (HPT axis). The axis of HPT is used as a highly efficient network of communication. Actually the hormone present in the body has the right amount of thyroid in small amounts to keep the effective function of the body. And it keeps the body to move on in a soft manner. Thyroid Stimulating Hormone (TSH) level remain clearly constant and they also answer to the smallest changes in the T4 levels and also vice versa. When outdoor affect disease like which causes to damage the thyroid or other breakdown due to medicines the thyroid will not be able to produce sufficient hormone. This would retard all the functions in the body and it creates a condition known as the hypothyroidism or otherwise it is also known as underactive thyroid. The two ways are always used as the features of an lingering thyroid disease. When considering to a doctor about the disease called Thyroid the consultor asks for the following two questions. The 1st one is if the thyroid gland is inappropriately releasing an abnormal hormone? And the second one goes as whether if there is a structural change in the thyroid which is a lump – referred as nodule – or making it larger – known as goiter ? These characteristics does not imply if the other is present the other disorders may display both. Many a times the thyroid will not be able to see the demands of the body for the thyroid hormone even if the thyroid stimulating hormone level raises. As the metabolism of the body slows down we may feel cold, and also lazy unable to do any work and even we may sometimes feel very much depressed. We may feel that we are putting on weight even if the quantity which we eat is a small portion. The reason for your thyroid not performing well are many. There are many examples. 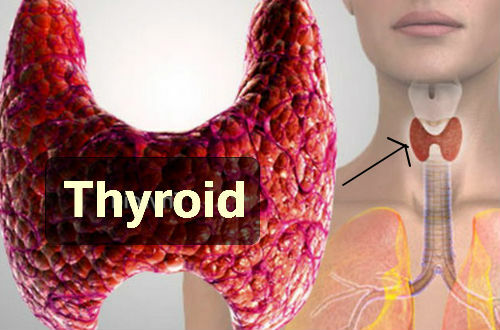 If the body is not able to get sufficient amount of iodine then the body will not be able to release any amount of thyroid hormone but it will try to rise the Thyroid Stimulating Hormone (TSH) by putting less effort. This may lead to swelling in the neck which is called as goiter. In goiter we will have a enlarged neck. Goiters were many in number in olden days but now it has decreased due to the highly nutritious foods. Thyroid also comes because of our own immune system. There are some things which are called as antibodies which safeguard us from fatal bacteria and viruses. In hashimoto’s thyroditis, our antibodies thinks our thyroid as a foreign invader. This hashimoto’s thyroditis consists of two types – Antithyroid Peroxidise (anti-PTO) and Antithyroglobulin (anti- TG ). The use of these are to destroy the thyroid by the use of the immune system. Sometimes the thyroid which do not defend, inflamed and scarred, comes under control and it fails. These hashmito’s thyroiditis which are from an abnormal sources are termed as an autoimmune disease. 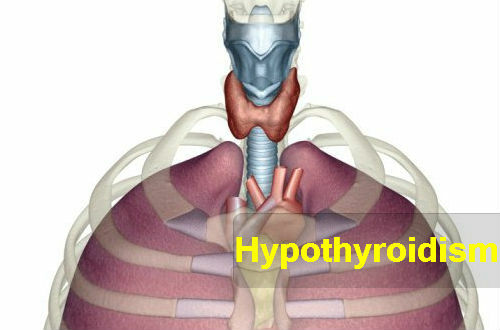 The Hashmito’s thyroditis is one form of thyroditis – a congestion of the Thyroid and it causes Hypothyroidism. At times the thyroid gland releases much of the thyroid hormone even though the pituitary gland closes down its own process of releasing the Thyroid Stimulating Hormone. It is a clear view signal which our body has. But still the thyroid comes to be unaware of the signals which are not sufficient and proceeds to release too much exerting the metabolism into the overdrive and speeds up the process. This is known as Hyperthyroidism. If you are an hyperthyroid, then your pulse will be speeding. The person will feel over heated and irritable and the person may not be able to sleep. The person may lose so much of weight though they have a very much sufficient appetite and also nervousness. With hypothyroidism we may develop goiter and the thyroid swells as the thyroid is putting so much to overproduce this thyroid hormone. A toxic multinodular goiter is to be blamed for hyperthyroidism for persons all over 60 years old. This comes if the thyroid swells and and improves nodules which are important for thyroid cells which acts as a part of thyroid. Nodules improves on the upper surface of the bland and the doctor can recognize them at the time of the exam, but if the thyroid gland appears inside the gland the it will not be visible to touch. Nodules cut the communication in between the pituitary gland and thyroid as they provide the thyroid hormone independently and do not rely on thyroid stimulating hormone. A single nodule known as solitary toxic Adenoma will cause Hyperthyroidism in a particular way. It produces thyroid hormone by its own capstan not considering the messages of the pituitary gland. It is not that all the nodules will cause the thyroid imbalance. The size of the nodule may differ from a pea or small than that or in the size of plum or it may be bigger. They are mostly not completely harmful and also it will not destroy the thyroid function. It contains nodules which carry fluids which are referred a cysts and adenomas and these are said to be solids but are never harmless. Small percent of the nodules are cancerous. This cancerous nodule will not destroy the function of the thyroid and it will not cause an overactive or underactive thyroid. Yet a cause of revved –up thyroid is the grave’s disease and it is an autoimmune disease and it is the most simple reason for the hyperthyroidism in the united states. The hashimoto’s thyroiditis antibodies attempt to attack the thyroid and they induce the over produce thyroid hormones. The antibodies of this way that are present in the grave’s disease are called Thyrotropin Receptor Antibodies (TRAb) which is also called as Thyroid Stimulating Immunoglobulins (TSIs). It is as the same as the thyroid stimulating hormone (TSH) fixing to the receptor of the TSH present in the thyroid gland which puzzles the thyroid to produce the much present hormone. Other than the perceived changes of this Hyperthyroidism the person’s with this grave disease which progress the thyroid eye disease. The feature vary from one case to other. And it is of red eyes, open eyelids, bulging, widely open eyelids, swollen, and double vision. If it is in a serious form, then reduced visual actually may be seen. How common is the thyroid disease ? This Thyroid disease happens to be mutual than heart disease and diabetes. It happens to be the fact of life to up to 30 million Americans. And it is said that many are not diagnosed yet. It is said that women are five times more than men in suffering from this disease, Hypothyroidism. The factor which is at stake for for this Hypothyroidism is aging. The thyroid gland secretes the thyroid hormone which manages the cell , organ in the body, tissues. If the thyroid is not functioning effectively then it can release too much thyroid hormone. That will make the body system to speed the hyperthyroidism and it will also lessen the production of the hormone, and this will make the body’s system to slow down. If it is not treated properly it will lead to the increase in cholesterol levels and also heart disease, infertility and osteoporosis. It is seen that there is a thick genetic link in the midst of thyroid disease and the autoimmune diseases and it also consists of anemia, arthritis, diabetes. We must understand the risks and symptoms of this disease. There are many which are not visible. The useful way is to consult a doctor for a Thyroid Stimulating Hormone(TSH) test., and it will be a normal and common blood test to check the thyroid gland. We can also do a self neck check. It is also that thyroid disease is often among families. A best known way to find this thyroid disease is the family member. If a first degree relative has a thyroid disease it is sure that even a person closely related have the disease. Women are more risked to thyroid disease than men. If we intake lithium or Amiodarone we must go for a thyroid check up. Radiation therapy to the head or neck: if a person has radiation therapy then a thyroid check up is a must. It can be radiation therapy for enlarged thymus, enlarged therapy for tonsils, enlarged therapy for acne. If a person lived near Chernobyl during 1986 nuclear accident, then the person must have a thyroid check up. Sense of coldness when the other people are feeling warm. A very low heart beat. Increase in weight even though the people do not eat enough. In children, the symptoms can be seen if they do not grow naturally and instead grow slowly. Problems in sleeping and irregular sleep patterns. Loss of weight without any exercise or eating orders or diet regulation. It is normal to have a nodule or a small lump on the thyroid gland. These have almost no effect on the working of the gland but are also dangerous. Some of the nodules are benign and the others can be benign. It can also lead to the growth of the cancerous growth of the cells. The thyroid gland becomes enlarged in some cases and it is called as a goiter. It does not produce the thyroid hormone in an adequate manner. Often it produces much or less or the exact amount of the thyroid hormone. It is right to consult the doctor who will find the exact cause of the enlargement of the thyroid. It is possible and it is up to the doctor to instruct the person on these topics. The doctor (if necessary) will remove the thyroid by the surgical means and also will remove them by the use of the thyroid pills that have to be taken everyday. It is always good to avoid coffee and caffeine products, sugar and also adds refined carbohydrates like flour, and the body treats like sugar. We can also eat starchy vegetables to our heart filled with happiness. Avoiding them does not mean to completely cut them of the cord. Instead they have to be taken in moderate amounts as they also have some of the important nutrients that are needed by the body. Protein send thyroid hormone to all the tissues and taking it in our regular meals will make the thyroid gland normal. The foods that are rich in protein includes the following like the quinoa, nut butters, nuts, grass fed meats, animal products and antibiotic free and hormone free food products and organic meats of the animals that are grass fed and eggs. The soy products like the TOFU, fake meats, soy milk and energy bars. The inorganic meat and the soy products will fasten the cell receptors and disturb the loop of the feedback that involves in the endocrine system of the body. It is said that fat is our friend, our companion. And cholesterol is said to be a curse in advance to hormonal ways. If we are very fat or if we have cholesterol then we are not maintaining a proper hormonal balance. It goes in an unbalanced manner and it contains thyroid hormones. The fats which are healthy and pure are found in ghee, fish, nuts, olive oil, avocado, nut butters, flax seeds, yogurt, full fat cheese, cottage cheese which consists full of fat and the milk is not skimmed and also coconut milk products. It has been generally believed that the hypothyroidism is because of the inadequate amounts of the iodine and this has been said to be false. The doctors are of the opinion that the people suffering from the Hashimoto’s will be cured if they take the supplements of iodine. So the people must take in more of iodine. The primary sources of the iodine like the aquatic foods and the vegetables and the secondary sources of the foods rich in iodine like the eggs, spinach, asparagus, sesame seeds, lima beans, summer squash, mushrooms, garlic and swiss chards must be eaten more by the people who wish to imbibe more of iodine into the body. The optimum levels of the vitamin D rage between the fifty and eighty ng/ml. If it is below 32, then the hormone pathway gets affected. The nutrient omega-3 fatty acids that are found in the aquatic animals and meat products that are obtained from the grass fed animals and walnuts are considered to be the building blocks of the controlling hormones that regulate the immunity of the function and the growth of the cells that are necessary for the functions of the thyroid. These also increase the response of the ability of the thyroid hormones. The molecular structure of the tissues of the thyroid are almost similar to that of the gluten in the foods. As a result, the people with the Hashimoto’s disease, it is similar to the problems of mistaken identity. The over consumption of the gluten rich foods will increase the attacks of the autoimmunity of the thyroid glands. The goitrogens are the foods that have the ability to interact with the several functions of the thyroid. The foods that are rich in the goitrogens are the ones like the brussel’s sprouts, kale, cabbage, broccoli, millets, kohlrabi, turnips, strawberries, rutabaga, spinach, peaches, peanuts, soybeans, watercress and radish. It does mean that the cooking inactivates the goitrogenic compounds of the foods. So eating the radish and the watercress is not a good way to eat after they have been cooked. It is an important antioxidant that helps to strengthen the immunity of the body. It is one of the most dependable factors of the factors that help to fight the Hashimoto’s. The foods that are rich in the glutathione help to regulate the immunity of the body and suppress the autoimmunity flare ups to safeguard the healing tissues of the thyroid. Though some foods possess glutathione, there are some foods too, that help in the production of the glutathione. These foods that help to induce the production of the glutathione are butter fruit, peaches, asparagus, garlic, broccoli, raw eggs, grapefruit and squash. The storage of the glutathione can be enhanced by the plant substances that are found in the cabbage, broccoli and cauliflower. Similar to the attacks of the body on the thyroid, called as Hashimoto’s disease, the human body also gets affected by the impending or the foods that results in the formation of the inflammations. These types of foods are generally seen as the invaders that enhance the responses of the autoimmune system of the body. The healthy function of the thyroid gland and the normal secretion of the thyroid glands depend much on the presence of the healthy bacteria of the gut. So the presence of the gut friendly bacteria are important in the body and especially the intestines. In order to enhance the presence of the healthy bacteria, the probiotic supplements have to be taken in large numbers. The swellings in the thyroid results in the goiters. The treatment for them are often administered through the natural foods that we eat and can be also through the surgeries. The surgeries are the most least recommended type of the treatment for the inflammations of the goiters. The autoimmunity of the body also gets affected and they attack the same factors of the body. So the use of the natural foods like the garlic, ginger and teas must be sought to minimize the risks of the inflammations. The antioxidants are also needed to treat the swellings and the foods that are causing the inflammations. It has been said that is an intimate relationship between the adrenal and the thyroid glands. The adrenal fatigue and the hypothyroidism go hand in hand. So it is not possible to address one without the other. These have to be addressed at once and they have to be treated or else they will cause the thyroid problems. As like all the glands and the parts of the body, the thyroid gland is very sensitive. It reacts when it is prone to the stressful conditions of the body. The stress abrupt the functions of the body and disrupt the hormones. They in turn, become offended and change in their natural aspects. This creates some or the other disturbances in the body and they become unnatural. The free radicals get increased in the body and cause many problems in the body. The thyroid collars are used to cover the body from the harmful effects of the X-rays. There may be times when the people will have to undergo the X-rays for the teeth, neck, ears and also the other parts of the body like the chest. 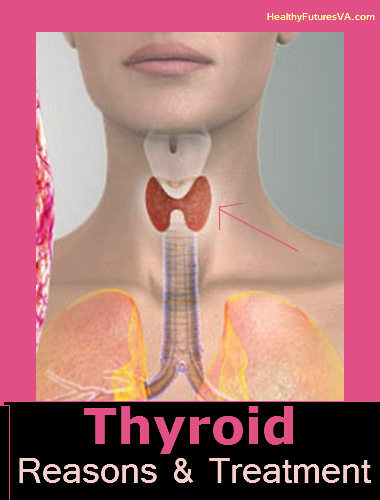 The thyroid is sensitive to the X-rays and they will also be affected by them. So the thyroid collars can be used to cover the body from the harmful effects of the X-rays. The thyroid collar looks like a collared T-shirt that looks like the turtleneck sweater. The collar is made up of the lead and also some material that does not allow the X-rays to pass into the body. The people have to ask the doctors or the surgeons to hand them the thyroid collar when they happen to undergo the X-rays. By this way the thyroid can be kept safe throughout the process and can be lead throughout the life in a good condition.